﻿ Howie Hayman - Music. From Jpop to Kpop to Bollywood to Classical to Jazz to good ole Rock and Roll. Pretty much like it all. This section of my site will no doubt be pretty loaded with stuff as time goes on. Really like to listen to music. Usually go through phases of listening to only a certain type of music for awhile and then changing to something else. Recently listening to a lot of lounge music. I listen to Sky.fm pretty much 24/7. I switch around from one station to another but usually stay on a particular station for a couple months. Recently spending a lot of time on the Smooth Lounge Station. This station features a good mix of different types of music often fusing different genre. I collected a bunch of songs I like and maybe you will too. Browse through the selections and post a comment if you see something you like. I really got into Kpop music in 2012 when Korean music was all over the music video TV stations in Japan. A lot of really good groups both guys and gals but still only into the girl groups. lol. 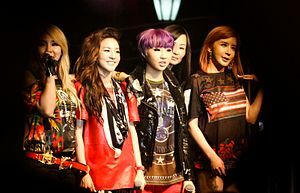 2NE1 is definitely my favorite but I also really like Kara, Rainbow, Tara, and Girls Generation. This music is great to listen to while you are working out. Listen for yourself and post a comment at the bottom of any site page. I suppose special mention should be given to PSY and his Gangnam Style song. Yup I like this too. You gotta give this guy credit for coming up with the perfect mix to blow everyone else away on YouTube. I began listening to Jpop around 2003. I was taking Japanese classes at college during this time and in between semesters I traveled to Japan for 3 months to learn to speak Japanese. I stayed on the second floor of an okonomiyaki restaurant. It was the family of a friend who owned this place which was located in the countryside of Nara, Japan. I was introduced to a lot of Japanese music during those few months. My favorite Japanese performers include Superfly, Lecca, Kana Nishino, Rize, Rip Slyme, and Maximum the Hormone to name a few. I can definitely thank our friends Bjorn and Mary Ellen Rafto for introducing this music to us. We stayed a few times at their home up in the San Diego County mountains. It was snowing during most of our stays there. Bjorn would usually listen to an online radio station called Ancient FM which played mostly Mediaeval and Renaissance Music. 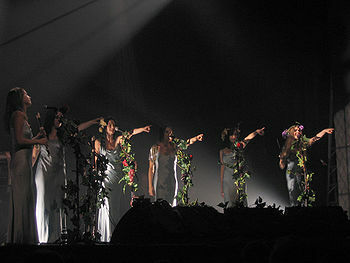 The station often played Mediæval Bæbes, a group who only sings this type of music. Although other groups out there sing mediaeval music, I really am not familiar with them but plan to post more when I can find the time. Yeah okay this is a pretty specific genre and I am really only familiar with one group, Värttinä. 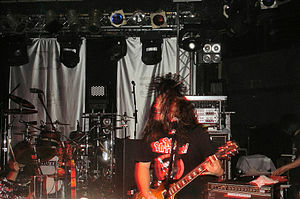 The music from this band alone was worth making a separate section on my site. This group has been around a long time and well worth listening to. I usually listen to an online radio station called Sky.Fm which has somewhere around 40 different stations. I was looking for something good to listen to while working out and found their Club Bollywood station. I began listening to this every day. After awhile I found myself recognizing more and more of the songs and performers even though most of the songs they play are in Hindi. I began making a list of the performers and song names and then searched for the videos on YouTube. This music is really good if you are looking for something to play at your next house party. In addition, some of the Indian actresses in the videos are absolutely gorgeous. Some of you might be asking yourselves why this category is last, after all, I am American. The fact is this section of the site is going to take a bazillion years to finish. 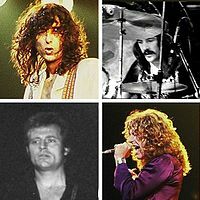 Been listening to rock music for a long time and it is going to take awhile to list all of my favorite bands and songs.